Get up to date with the latest press coverage and brand assets. Video data and recommendation startup ColorTV has acquired Guidebox, a fellow data company that has been focusing on providing universal search and discovery services for video app publishers and connected TV platforms. Guidebox’s team of seven is joining ColorTV as part of the deal, and ColorTV CEO Giancarlo Maniaci told Variety that he intends to unite both companies’ products in the coming months. Terms of the deal weren’t disclosed. ColorTV, an end-to-end platform for broadcasters to promote, personalize and attribute content on connected TVs and streaming devices, today announced that it has entered into an agreement to acquire Guidebox Inc, the OTT video search and discovery metadata provider to nearly 50 television brands. Terms of the deal were not disclosed. In the ever-growing, eminently confusing digital world, the largely unsatisfied demand is for discovery. ColorTV is the start up platform for broadcasters to promote and personalize content to fulfill that demand across devices. 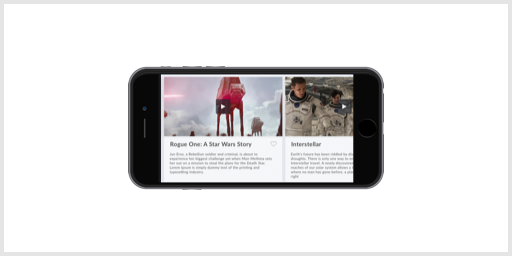 Today, it’s announcing the acquisition of similarly help-minded Guidebox, a video search and discovery metadata provider that already serves 50 content brands, including mobile content carrier Ericsson, targeted ad specialist Synacor, WWE, Fandor and Lionsgate streaming services like Tribeca Shortlist and Comic-Con HQ. No purchase price was disclosed. ColorTV, the company beind a marketing platform for broadcasters and connected TVs, has inke da deal to acquire Guidebox, a company that provides OTT video search technology for connected platforms such as Roku and Apple TV and for and clients such as Synacor, WWE, Lionsgate, and Ericsson. Financial terms were not disclosed, but Guidebox will operate under the “Guidebox by ColorTV” label and enable search for other platforms that include Amazon Fire TV, Googel Home and iOS and Android. ColorTV recently acquired Guidebook, a “technology that enables TV viewers to search for and discover TV programming on connected TV platforms such as Roku, Apple TV, Amazon Fire, Google Home, iOS, and web,” according to their announcement. The company is currently showing off its new offering thi week at NAB. With so many different options for watching TV that work so differently from each other, the couch potato has never been under more distress. Doing more with data is a prime trend of this year's NAB Show, and communications company Ericsson plays into that with the launch of its content discovery ecosystem. Working with partners ColorTV, the Internet Video Archive (IVA), and XroadMedia, Ericsson is offering customers an API-driven data source of TV show and movie information, as well as the ability to make decisions based on that data. The acquisition means that ColorTV now can use search results to focus its program recommendations or content promotion for online TV services ColorTV is a Newport Beach, California-based startup that provides Netflix-like recommendations for Over-the-Top (OTT) providers of online TV that are not named Netflix or Amazon. The company — founded last year — recently added a key new tool to its arsenal, announcing it has agreed to buy TV search and discovery provider Guidebox. Deal terms were not made public. ColorTV has entered into an agreement to acquire Guidebox, an OTT video search and discovery metadata provider to nearly 50 TV brands. Terms of the deal were not disclosed. "With Facebook, Google and Apple strongly entering into the TV market, we help ensure TV network revenues and distribution on OTT and mobile do not become eroded by this new competition set," said Giancarlo Maniaci, CEO of ColorTV. ColorTV is an SDK for marketers and developers to analyze the shows you watch and provide content recommendations within the same vein. Raising $1.5 million in seed funding from Foxconn earlier this year in July, ColorTV is set to support Apple TV, Android TV, Amazon Fire, Roku and Chromecast today. It might be surprising to some, but broadcast networks more or less guess which ads to serve to viewers, instead of relying on data much like online advertisers do with banner ads and video. ColorTV is calling this content recommendation system Spectrum. The problem with discovering what to watch via over-the-top devices is that you’re really not much better off than you were using a cable electronic program guide. Neither is the content provider. A new automated content discovery software system from San Francisco-based ColorTV aims to change that, gathering info on individual users’ preferences and steering them to it. Obviously, ColorTV should be pretty interesting to advertisers too. 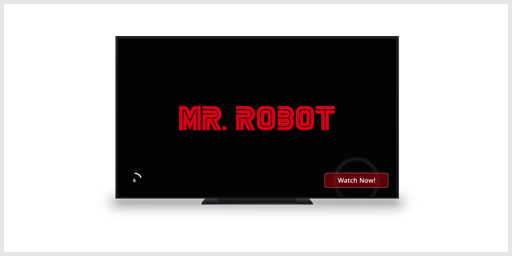 SAN FRANCISCO--ColorTV, the OTT Marketing Automation Platform, announced today that their Spectrum™ SDK is now available for Apple TV, Amazon Fire TV, Android TV, Roku and Chromecast. 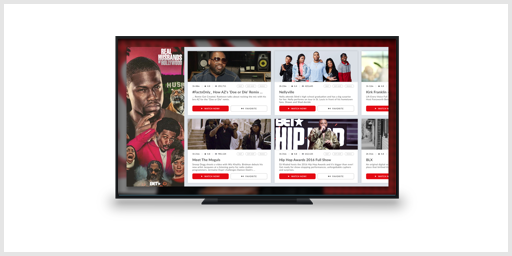 With this launch, broadcasters and developers can use the ColorTV platform to automate content discovery across their TV apps, drive real time tune-in and generate personalized video recommendations to promote their shows. ColorTV, the connected TV marketing platform, today announced that it has raised $1.5 million in seed funding led by Foxconn. ColorTV is developing a platform for brands to drive native discovery of content and apps on connected TVs and for developers to better monetize connected TV applications. 'Television advertising is king, with over over 172 billion spent globally each year, yet brands can not predictably market on TV like they can online,' said Giancarlo Maniaci, CEO and co-founder, ColorTV. SAN FRANCISCO, CA--(Marketwired - Jul 13, 2016) - ColorTV, the connected TV marketing platform, today announced that it has raised $1.5 million in seed funding led by Foxconn. ColorTV is developing a platform for brands to drive native discovery of content and apps on connected TVs and for developers to better monetize connected TV applications. SAN FRANCISCO, CA--(Marketwired - Oct 4, 2016) - ColorTV, the OTT Marketing Automation Platform, announced today that their Spectrum™ SDK is now available for Apple TV, Amazon Fire TV, Android TV, Roku and Chromecast. With this launch, broadcasters and developers can use the ColorTV platform to automate content discovery across their TV apps, drive real time tune-in and generate personalized video recommendations to promote their shows. TV commercials today are not very effective. Advertising agencies shell out thousands or millions of dollars to purchase air time, not including the production costs. Unfortunately this valuable air time is not very worthwhile. Commercials are a shot in the dark. Although they can target specific demographics based on the show, it’s far broader than the type of targeted personal ads that you see online. A new startup company called ColorTV is trying to change that by producing a top-notch ads platform designed around the TV. The ads are designed to be cinematic: primarily video with some sort of user call to action like installing an app. These TV platforms don’t have good web browsers, so advertisers have to come up with another sort of action. ColorTV, a connected TV app marketing platform, has announced that it has raised $1.5 million in seed funding led by Foxconn. ColorTV is developing a platform for brands to drive native discovery of content and apps on connected TVs and for developers to better monetize connected TV applications. ColorTV was founded in part by the team that bootstrapped and sold TapIt.com, a mobile advertising company. As platforms like Apple TV, Android TV and others pick up traction, it’s worth wondering about the evolution of the biggest advertising industry in the world: TV advertising. $176 billion is spent globally to an audience that is rapidly switching over to connected TV, where they can play games, watch streaming content, etc. When it comes to marketing to this audience, ColorTV has a proposition in mind. San Francisco based ColorTV is betting on the fact that apps will change TV as much as they changed phones. They say by 2020 there will be nearly 1 billion connected TVs globally. The company, which just raised $1.5 million in funding from Foxconn is trying to build the best marketing platform possible for the OTT world. Found Remote interviewed CEO and Cofounder Giancarlo Maniaci about their platform and recent funding. San Francisco-based ColorTV has announced it's raised $1.5 million in seed funding. The round was led by Foxconn. The money will be used to develop a platform to drive native discovery of content and apps on across Apple TV, Android TV and Amazon Fire TV. “With the rise in cord cutting, growth in Connected TV and newly launched Apple and Android TV app stores, ColorTV simplifies marketing on TV like it's done on the Internet”, said Giancarlo Maniaci, CEO and co-founder, ColorTV. Unlike traditional TV advertising, where audience demographic on a certain show is as much a guess as it is based on fact, ColorTV’s platform has insights that are unique to each individual audience member. This means targeting marketers’ ads will be far more precise. Founded in 2016 and based in San Francisco, ColorTV is the first the Video Personalization and Marketing Automation Platform. ColorTV’s platform empowers broadcasters and developers by providing a diverse suite of data insight, discovery and analytics solutions across Web, iOS, Android, Apple TV, Android TV, Amazon Fire TV, Roku and Chromecast. ColortTV’s Spectrum™ platform powers personalized video recommendations, analytics and attribution for over-the-top (OTT), Mobile and Web environments. According to NPD Group, approximately 115 million homes in the U.S. now own a connected TV or streaming device. ColorTV is venture backed, with $1.5 million in seed funding led by Foxconn. Giancarlo is a proven entrepreneur with experience in many online and offline ventures. He is an expert at marketing and running large scale sales centers. Most recently he founded Tapit.com, a mobile advertising platform, which catered to billions of impressions monthly to advertisers around the world. The company was acquired in 2013. He has also been the CEO and Founder of two finance companies which cater directly to consumers, one of which he exited in 2010. He is active in both providing seed investment and incubation to startups in technology and is passionate about emerging technology. He is happily married and the father of two children. 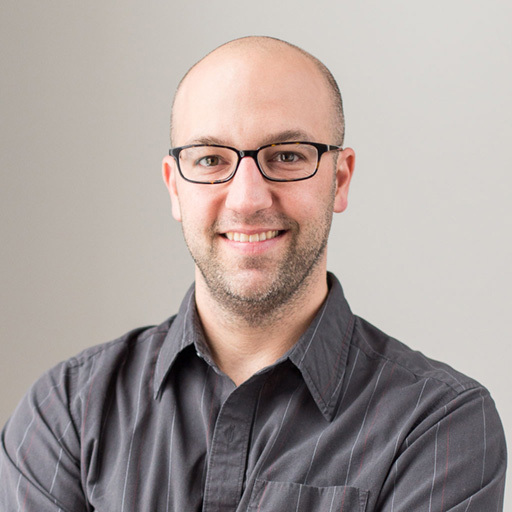 Chris is a proven technology leader who has helped companies build high-performance, scalable infrastructure and start-ups build and grow their engineering teams. He brings his extensive experience in mobile and advertising to lead the design and development of ColorTV’s innovative technology platform. Chris served as the Chief Technology Officer at Tapit! Media Group, which was acquired by Phunware in late 2012. He then served as Chief Architect of Phunware, Inc. from January 2013 through July 2015. Prior to joining TapIt! in 2011, he worked for Solipsys Corporation (acquired by Raytheon in 2003) and was the first software engineer hired at Millennial Media in 2006. Millennial went on to IPO in 2012 and was subsequently acquired by AOL in 2015.